I grew up impressed with the need to know. And now my spiritual practice is not knowing. My Unitarian Universalist upbringing pointed me towards the path of philosophy, but the philosophy teacher whose work compelled me might better be described as an anti-philosopher. My spiritual journey as a UU and a Buddhist has both illuminated and cast doubt on the traditional hope for reason and rationality to yield religious truth. There is only one good, knowledge; only one evil, ignorance. I was raised in the South by Yankee parents who became Unitarians about the time I was born. After a few years each in Virginia, North Carolina, and Alabama, as my parents climbed the academic ladder, we settled in Carrollton, Georgia, a small town without a Unitarian Universalist congregation. On Sundays we drove an hour to attend the UU Congregation of Atlanta. In childhood, I had showed symptoms of the philosophy bug. I was one of those kids who, early on, was fascinated with the thought that the color experience I call “red” might be experienced by other people the way I experience blue. I was drawn to the nonsense questions – though I had no grasp on their nonsensicality. At age 6, I had wanted to know, “What’s the opposite of a rubber band?” Would it be its elasticity or its loop shape that would be reversed? The teachers at my Unitarian Universalist Sunday School classes seemed to enjoy my loopy questions – and gave me others to think about. I was in fourth grade the first time I can remember hearing the word “atheist.” I asked what it meant, and shortly thereafter decided that I was one. My Sunday School teachers were nonreactive when I announced this to them, but my Carrollton classmates were gratifyingly scandalized. Some of them sought to rescue me from certain damnation. Naturally, I became a debater. Then a debate coach. By my mid-20s, I was a graduate student in communication studies at Baylor University studying for a career as college debate coach. I took a number of classes in "argumentation" where we talked a lot about justificatory devices for beliefs. I’d majored in philosophy as an undergrad, and had the vague sense that some of what my philosophy profs had been carrying on about might be relevant. I had the philosophy bug. So one semester I wandered across the quad to take a course, "Epistemology" (Theory of Knowledge), in Baylor's philosophy department. The last reading assignment in the class consisted of two chapters from Philosophy and the Mirror of Nature (1979) by Richard Rorty. Descartes' (1596-1650) concerns with establishing foundations for knowledge had moved epistemology to the center of Western philosophy. Rorty diagnosed the obsession with epistemology as deriving from a conception of knowledge as “mirroring” nature. A true sentence was one that “reflected” or “represented” the way things really are. Against this representationalist conception of knowledge, Rorty drew upon his rather free-wheeling interpretations of certain other philosophers – especially, John Dewey, Ludwig Wittgenstein, and Martin Heidegger – to argue for a revival of pragmatism, the American philosophy developed by Charles Peirce, William James, and Dewey in the 19th and early-20th century. Rorty’s pragmatism said that the point of inquiry is not to picture the way things really are, but to cope with them. Knowing – and therefore life, as I understood it – isn’t about mirroring or even “approximately” mirroring reality. Rather, it’s about doing. I was hooked. I read everything by Rorty I could get my hands on. I wrote my thesis at Baylor on "Richard Rorty's Pragmatism: Implications for Argumentation Theory." From there, I took a job as a speech instructor and assistant debate coach for a couple years. Soon, though, I abandoned that career track and enrolled as a PhD student at the University of Virginia, where Rorty was then on the faculty. For four years I took every class he offered, pored over the prepublication typescripts of each new essay as it appeared from the departmental copy machine. It was exhilarating and liberating in two ways. First, I was getting progressively clearer on how the quest for certainty was misbegotten. 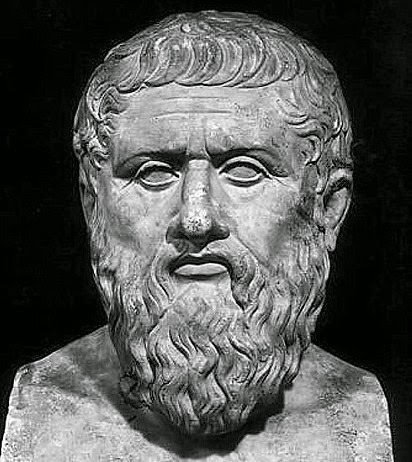 There is no such thing as the sort of knowledge that Plato, through my father’s desk plaque, had been telling me was the only good since before I knew the difference between Plato and Play-Dough. Rorty’s pragmatism absolved me of the burden to seek and acquire such Platonic certainty. Second, not only did I not have to get that kind of knowledge, but if it’s not the sort of thing one can have, then my evangelical grade-school classmates didn’t have it either. Whew! In one swell foop I had marked my independence from both my parents and my peers. 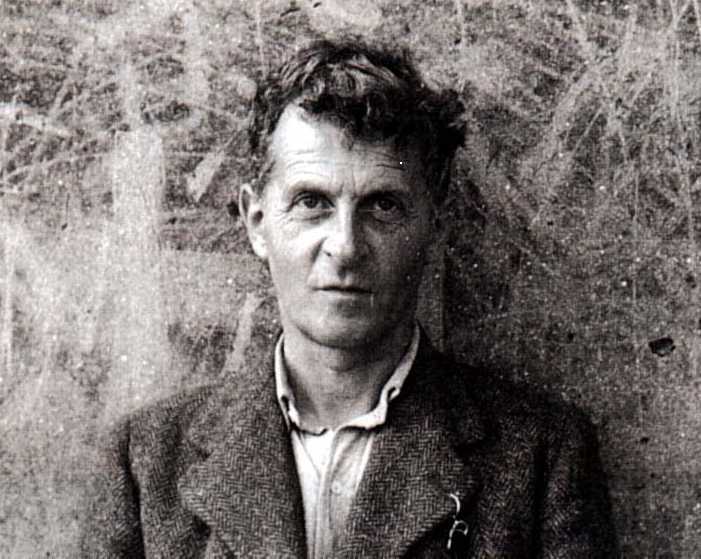 What I had learned under Rorty – drawing especially on one of his heroes, Ludwig Wittgenstein -- was more anti-philosophy than philosophy. Grand philosophical projects such as those of Plato, Descartes, and Kant were based on a certain sort of nonsense – namely, the sort that results when concepts that make sense in one particular area of human endeavor are extended too far out of their context to make any sense. For instance, we can ask whether a bottle is upside-down or not only if the bottle is within a context that establishes “up” and “down”, and the conventions of the bottle’s use establish which end is its “upside.” To ask whether the entire universe is upside-down is nonsense because there is no larger context that would establish “up” from “down.” The concept “upside-down-ness” makes sense within a context; applied universally, stripped of context, it’s a nonsense concept. It’s not just that we don’t have enough data yet. Nor is it a case of, “We mere mortals will never know, but God knows.” Rather, this is a nonsense question from the beginning. “The big questions” of philosophy tend to be that way. The questions that Western philosophers regard as central have gradually shifted through the centuries, but I began to notice that the old questions weren’t ever actually answered. (Or, if they were, then that area of inquiry spun off into an empirical discipline and wasn’t “philosophy” any more.) The history of philosophy, Rorty once noted, isn’t one of answering questions, but of getting over them. One of the questions I got over, with the help of Wittgenstein-via-Rorty, was that “color conundrum.” Wittgenstein once answered the question, “How do I know it’s red?” by saying, “I know it’s ‘red’ because I speak English.” In other words, “red” is a concept (for to have a concept is to be able to use a word), and all there is to do with a concept is use it in the ways appropriate to the speakers of the language within which the word/concept has its place. There’s the doing – and, beyond that, there’s nothing there. “Red,” ultimately, is...empty. I came to Buddhism slowly. I read Hermann Hesse’s Siddhartha in eighth grade and felt its impact like a body blow. With nowhere to go to build on that experience, it gradually faded – yet a seed had been planted. In college, I mused, captivated, over the Dao De Jing (not strictly Buddhism, but an influence on the Zen form). As an assistant professor of philosophy at a small liberal arts school, I was called upon occasionally to teach a “Humanities” course that included surveying the world religions. As I prepared for the Buddhism unit, I found many of the teachings eerily reminiscent of what I’d spent graduate school thinking about. How very...pragmatic! Buddha, too, was trying to show the fly the way out of the fly bottle. What took me years more to grasp was that liberation from philosophical questions by way of a philosophical explanation of the nonsensicality of the questions was partial liberation at best. My call away from teaching philosophy and to Unitarian Universalist ministry came as a double awareness: (1) I can do that (I’m good at public speaking; I’m reasonably smart; I’ve been a UU all my life, and I love our congregations); and (2) I have no idea how to do that (i.e., the other stuff ministers do or are, which I couldn’t then even name, skills eventually described to me as “projecting spiritual presence”). Somehow, dimly, I perceived that the part I was clueless about – so clueless I couldn’t say what it was – was the next step in my journey. It was the lack I needed most to fill. So when, after one year of seminary training for ministry, the Midwest Regional Subcommittee on Candidacy told me to “get a spiritual practice,” I knew before I’d arrived back home what that practice would be. The idea of meditation seemed like a good one. The time had come, it seemed, actually do it. I began the way I usually begin new things: I got a book. It told me about mindfulness, finding a posture for stillness, and what to do with my mind while being still. And what to do when my mind wandered off from doing what I had told it to do. I started with fifteen minutes a day, and after a couple months was up to 30 minutes each morning of sitting meditation. I started going to weekly meditation group meetings and insight meditation classes. I spent one year with a Vipassana (Insight) meditation teacher, and then began checking out Zen teachers. I started sitting every day. He listed some I could visit, and his strongest recommendation was for Ruben Habito, a Filipino former Jesuit priest teaching comparative religion at Perkins Theological School in Dallas. I visited with, and meditated with, and chanted with, and absorbed the dharma talks of Zen teachers in Las Cruces, and Tucson, and Albuquerque, and Austin, before finally going to see Ruben in Dallas. Ruben has been my Zen teacher ever since. I go out to Dallas for week-long Zen retreats when I get the chance, and in between retreats, we’re in touch occasionally by phone or email. Buddhist practice has, however, brought me to a place that my academic studies led me away from. I completed graduate school with the understanding that everything was linguistic and purposive. “True friends” or “true diamonds” were just figures of speech – the only sort of truth worth talking about was truth as an attribute of certain sentences (the true ones). The only “knowing” worthy of concern was knowing how to make and recognize true sentences. This was the orientation that made me a philosopher. Moreover, the only way to assess knowledge and truth was within the context set by some particular purpose. This was the orientation that made me a pragmatist. So when I first heard my Buddhist teachers talking about “seeing things exactly as they are in themselves,” with my own attachments and purposes “dropped away,” I had no idea how to charitably interpret such talk. Had not Wittgenstein established that “all seeing is seeing as”? There is no Kantian thing-in-itself – nor even a “red” apart from the practices and purposes of calling things red. The path to nonlinguistic, nonpurposive presence is one step at a time. Notice and see through the linguistic description and the purpose it serves. Then the next one, then the next, then the next. Just keep at it. This is the path. I grew up impressed with the need to know. And now my spiritual practice is not knowing: opening myself to let each thing present itself afresh without burying it under the load of all the concepts I worked so long to acquire. Next: "Odyssey, part 8: Walls and Fridges"
Previous: "Odyssey, part 6: Anti-Barbie"
"Odyssey, part 5: The Commune Attraction"
"Odyssey, part 4: Paragon of Loquacious Discourse"
"Odyssey, part 3: Mr. Bear's Lover of Leaving"